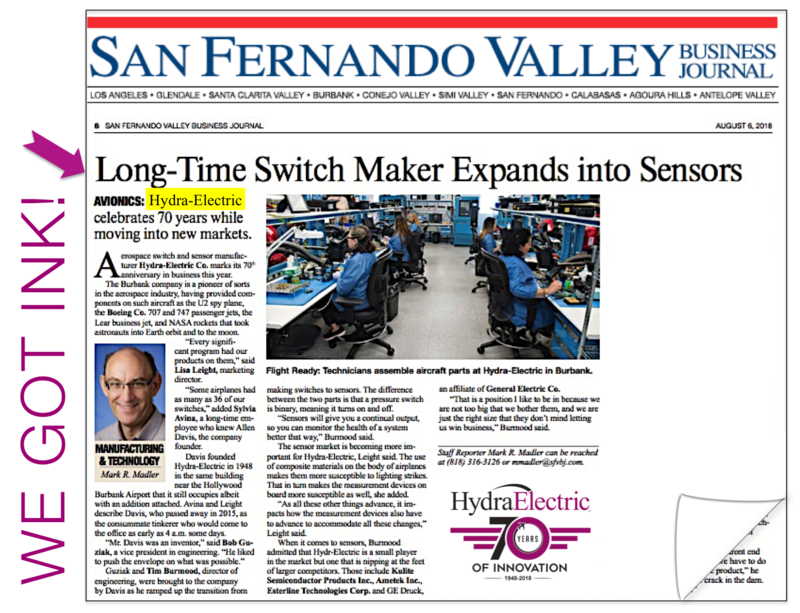 This entry was posted in Aerospace Engineering, Aerospace Industry, Aircraft Sensor Design, Aviation History, Hydra-Electric News, Press and tagged 70th anniversary, aerospace engineering, aerospace industry, aerospace pioneer, aerospace sensors, aerospace switches, aircraft engineering, aircraft sensor design, aviation history, Hydra-Electric sensors, Hydra-Electric switches, San Fernando Valley Business Journal, sensor technology, SFVBJ. Bookmark the permalink. Guidelines for understanding DO-160, Section 22 and more.